Imine-based reactions leading to the formation of hydrazone or oxime bonds are becoming increasingly important in the conjugation of complex biomolecules. The reaction of an aldehyde or ketone with a hydrazide (for example, Quanta BioDesign product number 10219, Biotin-dPEG®4-hydrazide) leads to the formation of a hydrazone. The reaction of an aldehyde or ketone with an oxyamine (for example, Quanta BioDesign product number 11102, Biotin-dPEG®11-oxyamine•HCl) leads to the formation of an oxime. Kalia and Raines demonstrated that of the two types of bonds, the oxime has greater hydrolytic stability than the hydrazone. The reaction rate for oxime formation is slower than for hydrazone formation, particularly at pH 7, where an oxime reaction at low concentrations of precious biomolecule reactants can take weeks to go to completion; see here, here, and here (and references therein). To some extent, the discovery that aniline effectively catalyzes the formation of oxime bonds at acidic pH ameliorated this problem. See, for example, Rapid Oxime and Hydrazone Ligations with Aromatic Aldehydes for Biomolecular Labeling, Bioconjugate Chem (2008), 19(12), 2543-2548. At neutral pH, however, aniline was not as effective a catalyst, and reaction rates were still slow. In a paper published in January 2014, Michaela Wendeler, et al., tested numerous substituted anilines to discover better catalysts for oxime formation at neutral pH. 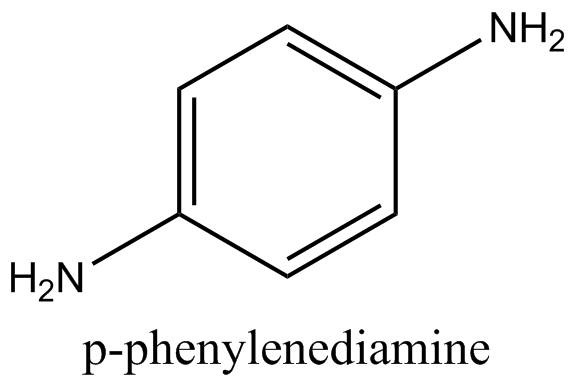 One substituted aniline, p-phenylenediamine, proved a particularly effective catalyst, compared to aniline and all other substituted anilines tested. This improved effectiveness was evident not only at neutral pH, but at every pH tested in the range of 4 – 7. Using a model oxime ligation consisting of an aminooxy-functionalized PEG and a protein, at pH 7 p-phenylenediamine improved the reaction rate 120-fold over the uncatalyzed reaction and 19-fold over the aniline-catalyzed reaction while maintaining mild reaction conditions. This improved catalyst should also work for hydrazone formation. The paper is Enhanced Catalysis of Oxime-Based Bioconjugations by Substituted Anilines, Bioconjugate Chem (2014), 25(1), 93-101. Quanta BioDesign, Ltd., offers a variety of aminooxy- and hydrazide-functionalized dPEG® derivatives. In addition, we offer custom syntheses of dPEG® derivatives to meet our customers’ specific, unique needs. If you need a discrete PEGylation reagent for your bioconjugation needs, Quanta BioDesign has what you need, or we can synthesize what you need. Contact us today! If you want to leave a comment, please click the “Leave a comment” link. All comments are moderated. Robert Woodman earned his B.S. in Microbiology from University of Southern Mississippi and his Ph.D. in biochemistry from The Ohio State University. He is a Sr. Production Development Scientist and the Quality Control Manager for Quanta BioDesign, Ltd. Robert has used his abilities in organic chemistry to develop new dPEG® products, and is now using his biochemistry training to develop new applications for these products. You can connect with Robert through LinkedIn.